This information is 5 minutes old. Please be patient and hit F5 to refresh. (0)! * No Holes Barred * ! (0)! * Queen of Spades * ! (0)! * A Cabin in the Woods * ! (0)! * Chicken Ranch * ! (0)! 50 Shades of Black ! 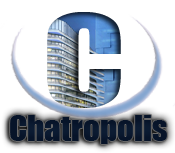 © 2004-2018 - Chatropolis.com - All Rights Reserved.